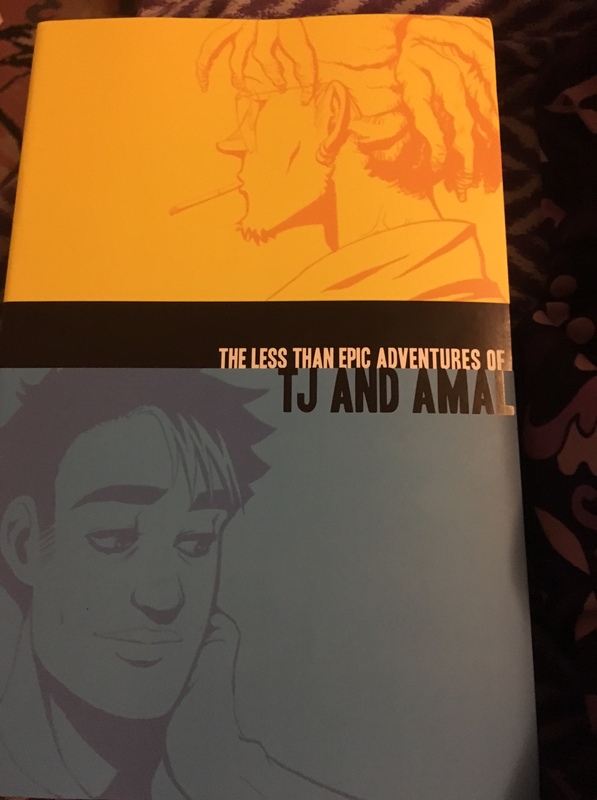 My copy of the paper book collecting the entirety of TJ & Amal’s adventure that is, despite the title, quite epic! First, I have recommended many times The Less Than Epic Adventures of T.J. and Amal by E.K. Weaver, which is a long and completed story that is extremely good. The artwork is amazing, the characters are engaging, and the story is just wonderful. I mean seriously, just go look at the first several comics on the website and see how much she conveys without a single word of dialog or narration! 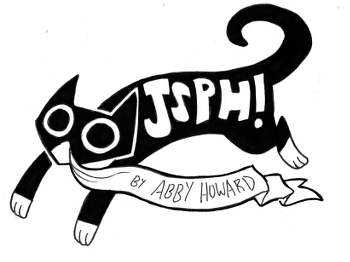 I am writing about this great comic again because just last month there was some awesome news about it that I totally missed. The paper version of the complete The Less Than Epic Adventures of T.J. and Amal won the Lamba Literary Award for best LGBT graphic novel! Congratulations to E.K. Weaver! Your story totally deserved it! The first panel of the http://chainsawsuit.com/comic/2016/07/07/all-houses-matter-the-extended-cut/ comic. You should go read it! In less wonderful news, because of yet more deaths of black men at the hands of police in circumstances that anyone who watches the video and has an ounce of sense would agree would get the gunman convicted of murder in a rational society, a lot of people are trotting out angry arguments against the Black Lives Matters groups that really make no sense if you have any context at all. 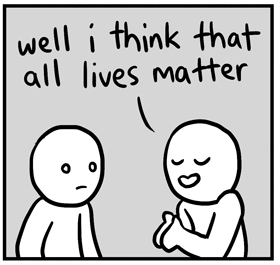 Fortunately, Kris Staub explains why All Lives Matter doesn’t mean what they think it means in cartoon from: all houses matter: the extended cut. Political commentary aside, Chain Saw Suit by Kris Staub is another one of these comics that I don’t have to remember to go check, because a few times a month someone shares a link on social media, I go read the linked comic, and then I read the others that have been published since I last read one. They’re usually not political, but just funny commentary on the eccentricities of being human. “Mr. Cow,” by Chuck Melville tells the tale of a clueless cow with Walter Cronkite dreams. If the twice-weekly gags about a barnyard of a newsroom aren’t enough excitement for you the same artist also writes and draws (and colors!) some awesome fantasy series: Champions of Katara and Felicia, Sorceress of Katara. If you like Mr. Cow, Felicia, or Flagstaff (the hero of Champions of Katara) you can support the artist by going to his Patreon Page. Also, can I interest you in a Mr. Cow Mug? Check, Please! 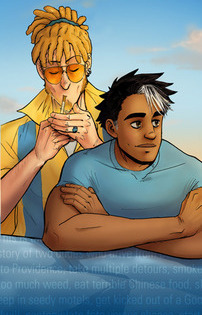 by Ngozi Ukazu is the story of Eric “Bitty” Biddle, a former junior figure skating champion from a southern state who is attending fictitious Samwell College in Massachusetts, where he plays on the men’s hockey team. Bitty is the smallest guy on the team, and in the early comics is dealing with a phobia of being body-checked in the games. He’s an enthusiastic baker, and a die hard Beyoncé fan. Caterwall by Spain Fischer is the story of Pax (the orphaned son of a knight who was the hero of the kingdom) and his best friend Gavin (the descendant of a line of seers). Pax is a young man who has a reputation for pulling pranks and telling lies, who gets exiled from the kingdom.